Grow yummy strawberries for summer snacks. Start them indoors with this easy kit, then plant them out into patio containers or the garden, for delicious crops of extra sweet little Alpine strawberries. 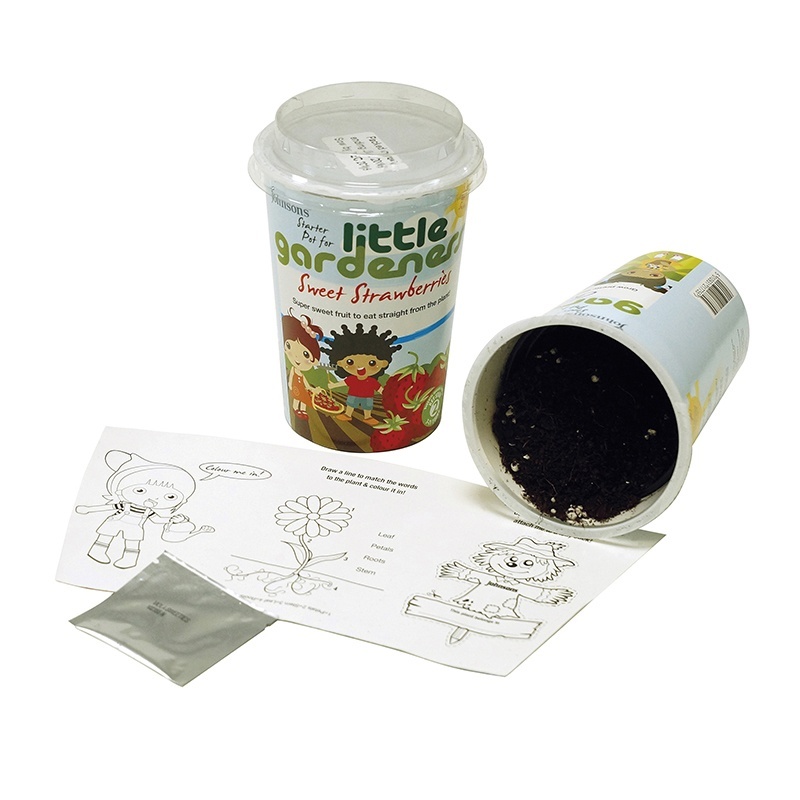 Kit contains seeds, plastic inner pot, compost and fun activities.